Good dental health involves more than brushing twice a day. You can take extra care of your teeth and gums by maintaining healthy eating habits and visiting your dentist for regular check-ups. These practices can prevent dental problems such as tooth decay but there are still a number of other conditions and problems that you need to look out for. Pericoronitis can be a concern during your late teens and early twenties, when your wisdom teeth come through. It’s a potentially serious condition that can cause long and short term problems for your oral health. That’s why we’ve created this quick guide to this condition, so you can spot it while it’s still easy to treat. Pericoronitis is an infection in the gums around the wisdom teeth and it usually causes pain, swelling and discomfort. 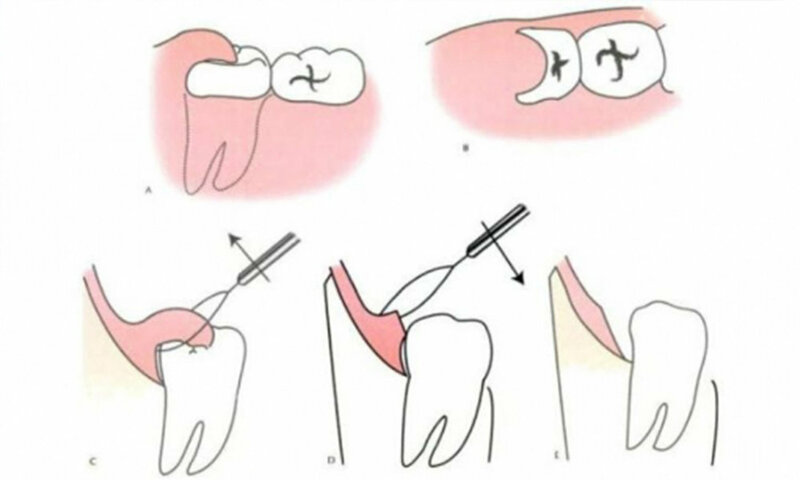 The infection surrounds the crown of the wisdom teeth and usually occurs when the wisdom teeth is only partly-erupted. This happens because they are partially erupted, leaving gaps and holes in the gum making it easy for food or plaque to enter and spread. Pain in and around the affected area. Swelling of the gum around the tooth. Swelling of the face or throat on the infected side. A bad taste in the mouth or bad breath caused by leaking pus. If the infection around the base of your wisdom tooth is mild, you can treat it by rinsing with warm salt water and making sure the gaps in your gums are kept clean. You also need to make an appointment with your dentist as soon as possible. Pericoronitis is usually a sign that your mouth is too crowded for your wisdom teeth, and they will need to be removed before they cause further problems. 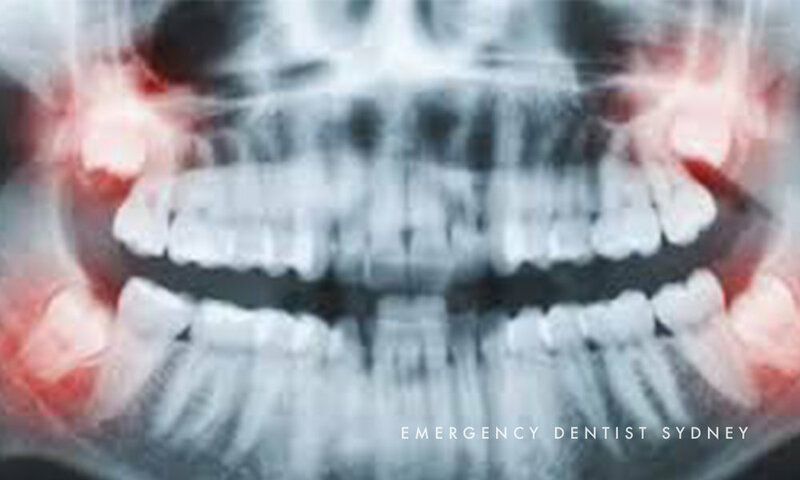 If the infection is more severe, with obvious swelling in your face and neck, see your dentist immediately. You will need antibiotics to clear up the infection, and it’s a good idea to take some painkillers as well. 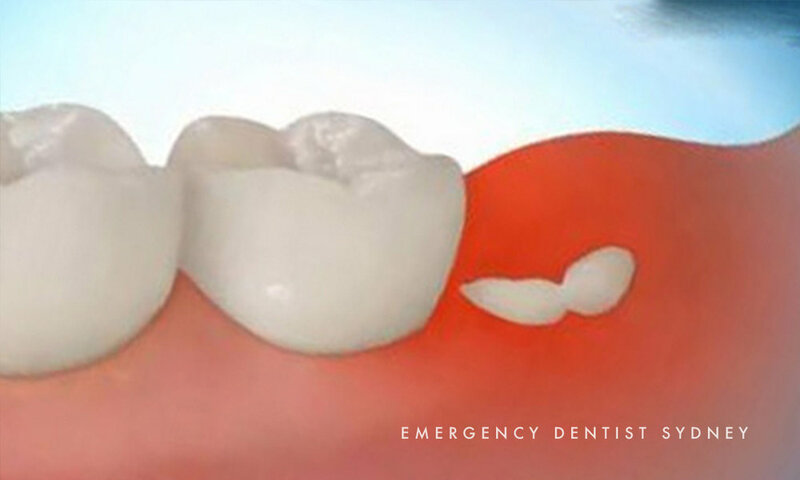 For professional and emergency dental care, make an appointment with our helpful staff here at Emergency Dentist Sydney.